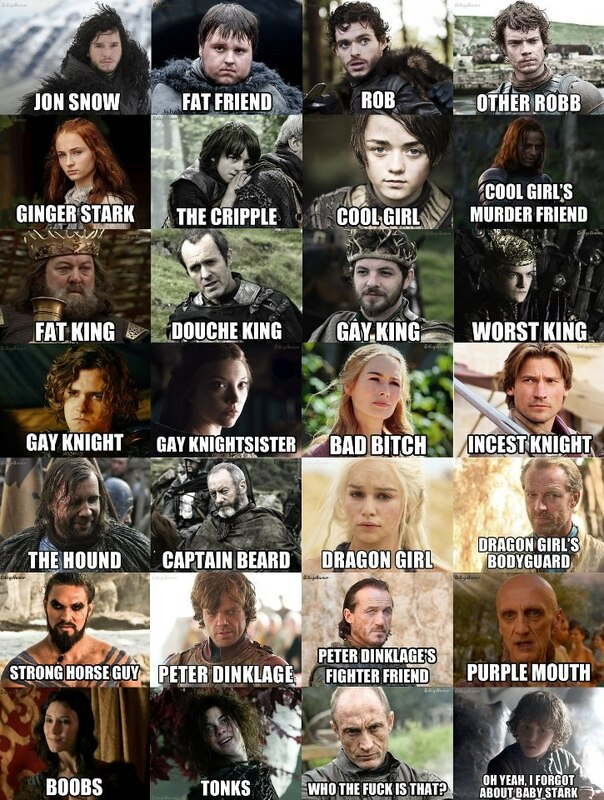 Why am I so opposed to reading Game of Thrones? Well, first of all, each one of the books is approximately one billion pages long. I have made it clear time and again how I feel about exceptionally long books (I hate them). And third, there’s just too much going on. Khaleesi is delightful. And all the drama surrounding Ginger Stark is finally starting to get interesting. But, on the flip side, I really don’t care what’s happening at The Wall with Jon Snow and his band of losers and bastards. And the subplot about Crippled Stark in the woods with his giant, dopey servant and the kid from Love Actually got really old, really fast. I can’t imagine having to plod through all of those boring story lines in book form. The cover is only one similarity among many. There is the “Queen’s Guard,” an uncomfortable metal throne, and scheming insiders vying for that throne. There are lots of weird, made-up names of weird, made-up places. There are brave knights and evil whoremongers. There is a creepy red queen. There is magic and weirdness and fantasy. 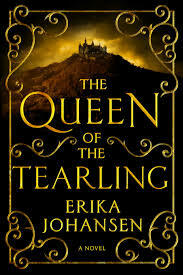 But, for me, The Queen of the Tearling is way better than I imagine the Game of Thrones books to be. And here’s why: it is much more limited in focus. There aren’t seventy-five different, tangentially-related plots that are battling for your attention. Instead, there is just one. And it’s an interesting one. For her protection, baby Kelsea was sent away from the Keep by her mother, Queen Elyssa. She was raised in a secret hideaway deep in the woods by two of Queen Elyssa’s faithful servants. Growing up, she was provided very little information about the kingdom or her mother’s reign. She knew only that her mother had died, leaving her uncle, the Regent, on the throne. The book begins when Kelsea has reached adulthood and is ready to reign. She is retrieved from her hideout by the Queen’s Guard (her mother’s Guard, that is). Their duty is to get her safely to the Keep, where she will be crowned. There are, of course, many people (including the Regent) who would prefer to see Kelsea killed than to see her crowned, so the Queen’s Guard’s protection is vital. Kelsea soon discovers that the Queen’s Guard (and Barty and Carlin, who raised her) were all forced to swear an oath to her mother to keep certain secrets about the Tear and its governance from Kelsea. Upon arriving at the Keep, Kelsea begins to learn that her mother’s reign was not all sunshine and rainbows. Kelsea must make some rapid and potentially dangerous decisions about how she will reign and whether she will follow in her mother’s footsteps. These decisions set in motion a series of events that Kelsea must face as she finds her footing as the new Queen of the Tearling. This is the first book in a trilogy, and it definitely reads that way. Most of the book is introduction/exposition, and the vast majority of it is character driven. A lot of time is spent giving you a feel for who Kelsea is, what kind of Queen she wants to be and will become, and how her decisions will be shaped by her Guard. Luckily, Kelsea is extremely likable. Long before this book was released, Emma Watson had already signed on to play Kelsea in the movie adaptations of the books (you can read more about that here). And she is a good fit–Kelsea is kind of like a grown-up Hermione. Kelsea is somewhat unassuming in appearance but smart and fair. She is brave and just. She is not constantly (or ever, really) enmeshed in mindless romantic affairs. She loves to read. She makes tough decisions. She stands up for what she thinks is right. And she has a magic necklace that makes her an even bigger badass than she would be on her own. She is, without question, a great female protagonist. The book is long, yes, but it reads like YA (that is to say, the pages fly by pretty quickly). It contains some action, but the action is not super climactic. It feels more like a taste of what’s to come. The stage is set for the real evil to be waged by the real villains in the coming books. The Queen of the Tearling does not read like a standalone book, which is a mild pet peeve of mine, but it did leave me wanting to read the second book in the trilogy. Who should read it: Mom (i.e., people who enjoy the occasional fantasy, especially when the protagonist is all about being good and just); Shana (i.e., people who love a strong, smart female protagonist). This entry was posted in Rating: 3.5/5 and tagged Book review, Book Reviews, Books, Emma Watson, Erika Johansen, Game of Thrones, The Queen of the Tearling. Bookmark the permalink. Though I personally enjoyed reading Game of Thrones, I loved your succinct explanation of why you don’t want to read it. The books are a billion pages long and there are too many characters. No big spoiler here, but pretty much everyone dies. 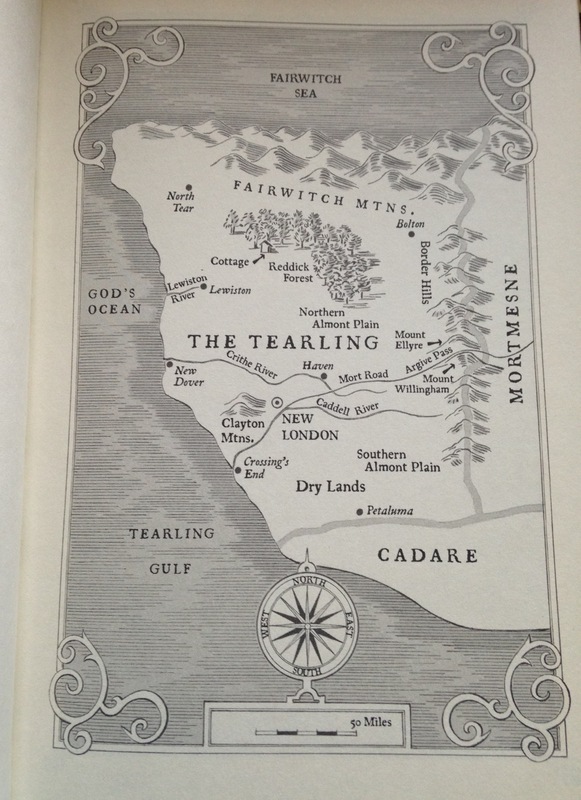 Moving on…I enjoyed Queen of the Tearling as much as you did. Pure entertainment with a strong heroine. I imagine Emma Watson will have to pack on 25 pounds to really make Kelsea come alive, but as this is Hollywood, weight gain is probably avoided. Looking forward to the next book and the movie. Thanks, Ngan! Good point about the dying. I have a feeling that events like the Red Wedding would have an even bigger impact on me if I were reading them (I tend to get more invested in books than I do in TV). No need for me to go through that again! I think Emma Watson could gain fifty pounds before she began looking plump! And unless she’s really vying for an Oscar (losing/gaining loads of weight makes you a shoe-in, after all), I doubt that will happen. Nevertheless, I think she’s a good fit for Kelsea. Hopefully the adaptation will be a good one!